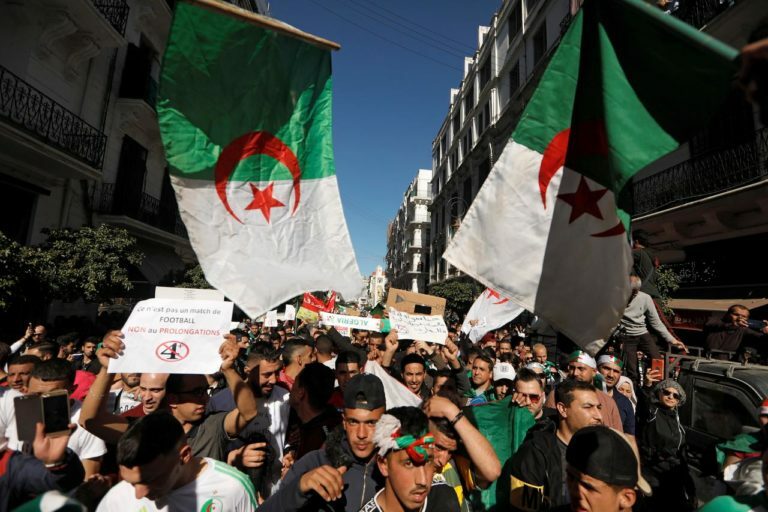 A new Algerian group headed by political leaders, opposition figures and activists called on President Abdelaziz Bouteflika to step down at the end of his term on April 28 and urged the army not to interfere in politics. In a statement titled “Platform of Change”, the National Co-ordination for Change pushed government to resign after over three weeks of mass demonstrations against Bouteflika’s 20-year rule. “There is an urgent need to make radical changes to the system in place with new personnel,” said the group. Algerian authorities have been able to manipulate a weak opposition. But new influential opponents emerged from growing protests peaking last week, with thousands of people on the streets of Algiers. Prominent members of the new group include lawyer and human rights activist Mustapha Bouchachi, opposition leader Karim Tabou and former treasury minister Ali Benouari, as well as well-known Islamists, Mourad Dhina and Kamel Guemaz.